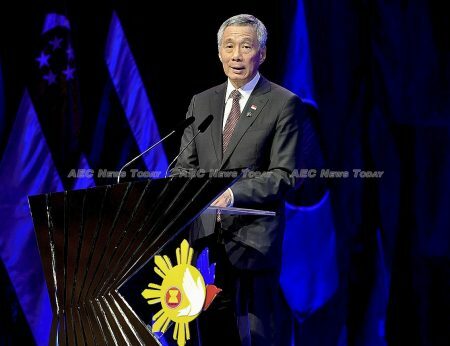 Singapore reported a credible economic performance in 2018 amid an increasingly uncertain global environment, exemplified by the US–China trade war. Economic growth for the year came in at 3.3 per cent and overall inflation at 0.4 per cent. These compare well with International Monetary Fund (IMF) forecasts of 2.4 per cent and 2 per cent respectively for advanced economies. Official surveys report an increase in median income with lower income deciles experiencing greater gains, although the employment rate of Singaporeans and Permanent Residents — the resident labour force — declined marginally from 80.7 per cent to 80.3 per cent over the year. Singapore maintained a regular international presence throughout the year. The country hosted the first-ever meeting between the leaders of the United States and North Korea in June and convened and officiated the 33rd Asean and related summits as the 2018 Asean chair in November. This bodes well for the location-based business strategy that continues to be an integral part of Singapore’s economic planning and management. Domestically, signs suggest the start of a gradual transition and renewal of Singapore’s economic structure in line with the Committee on the Future Economy (CFE) report released in 2017. 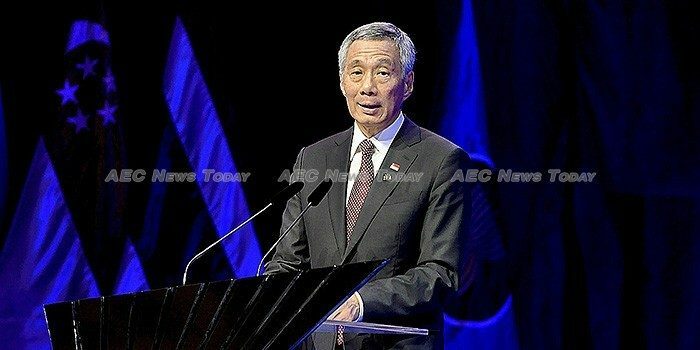 Adherence to the report’s recommendations can be seen in the emphasis on education and training, infrastructure, and healthcare — sectors that policymakers believe will further Singapore’s long-term growth potential — in the annual government budget, as well as government support for the use of technology in financial services, FinTech. Greater expenditure on health also suggests that policymakers acknowledge the need for the public sector to play a larger and deeper role in managing the needs of Singapore’s ageing population. The expected increase in public spending will be financed by an increase in the Goods and Services Tax (GST) from 7 per cent to 9 per cent between 2021 and 2025. Despite stated urgency on the need to manage inequality and old-age income security, public policy focus remains on job creation and skills upgrading. This is notwithstanding that income inequality is likely higher than may be inferred, as Singapore’s Gini coefficient is calculated using only labour income of the employed. Policymakers remain averse to calls for a minimum wage or higher income supplements to reduce inequality because of hypothesised negative effects to employment and economic growth. There continues to be a strong preference for selective use of wage and income supplements to low-income households to be more effective instruments of redistribution. But a recent study revealed that accumulation from employment income alone may be insufficient to ensure old-age income security due to rising longevity and underemployment. Both observed in Singapore. Inequality and old-age income security concerns are amplified by the continued lack of social risk pooling arrangements. This is seen from an enduring emphasis on individual savings from labour income in retirement-financing arrangements, on the use of actuarial valuations in the basic catastrophic national health insurance and disability insurance premiums, and on pay-outs from the compulsory annuity scheme. The individual bears a disproportionate amount of risk when some of it could be better managed by society. The case for social risk pooling is more compelling for women in particular, as they typically experience lower incomes, shorter working lifespans, and greater longevity. All of which raise inequality and insecurity. Consequently, a universal non-contributory pension scheme is necessary to limit the extent for old-age poverty. Singapore stands alone among developed economies in not having such a budget-financed social pension, despite its record of recurring budget surpluses. 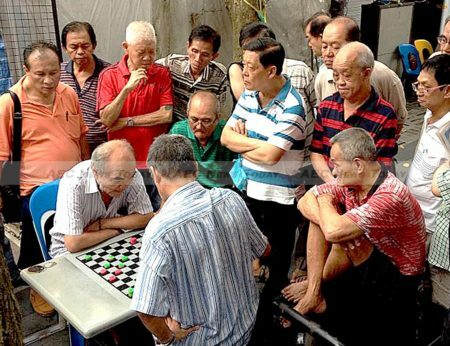 The importance of implementing such a scheme in Singapore is greater now with the reported complexities in monetising public housing values for retirement financing. However, informed discussions on this (and other issues) remain constrained by data limitations — well-illustrated by the role of existing budgetary reporting practices in facilitating fiscal policy debates. Alongside early signs indicating the start of economic restructuring, in November 2018 the ruling party announced a leadership renewal with changes to its core management team. This includes a number of younger members who will, or are anticipated to, take on key leadership and decision-making roles in the coming years. Singapore’s policymakers will need to manage more vocal domestic concerns about inequality, old-age income security and social stratification. The latter will be accentuated by cost-of-living concerns from higher public utility charges and the increase in public transport fares. The difficulty in doing so is increased by the population’s changing perspectives and demands of governance and public sector accountability. Understanding and adapting to this takes on greater significance as the conventional drivers of growth and social mobility, such as education, begin to seem ineffective and conducive to social stratification. As ageing and the pace of technological change across the economy accelerates, the economic gains from job creation and retraining, especially for older workers, will become increasingly difficult to realise. In the course of change and renewal, more comprehensive measures and safeguards will be needed to mitigate the adverse effects that will inevitably emerge over the adjustment process. Increasingly, this will require Singapore’s policymakers to diverge from long-held convictions and positions of what is appropriate, to devise more nuanced policy responses that successfully navigate the challenges of the coming year. This article was written by Chang Yee Kwan, an assistant professor in Economics at Xiamen University Malaysia and Non-Resident Fellow at the Center for Southeast Asian Studies, National Chengchi University, and Mukul G Asher, an independent consultant in public financial management and social security reforms. It first appeared on East Asia Forum under a Creative Commons License and is reproduced here with its permission.